Japan's economy was the envy of the world before succumbing to one of the longest running economic crises in history. In the 1970s, Japan produced the world's second-largest gross national product (GNP) after the United States and, by the late 1980s, ranked first in GNP per capita worldwide. But all of that ended in the early 1990s when its economy stalled, plunging the economy into what has been termed the lost decade. What Caused Japan's Lost Decade? Most economic crises immediately follow an economic boom where valuations disconnect from reality. For example, the dot-com bust and the Great Recession in the United States immediately followed record U.S. stock market valuations. Similarly, Japan's lost decade was largely caused by speculation during a boom cycle. Record-low interest rates fueled stock market and real estate speculation that sent valuations soaring throughout the 1980s. Property and public company valuations more than tripled to the point where a three square meter area near the Imperial Palace was sold for $600,000. Upon realizing that the bubble was unsustainable, Japan's Finance Ministry raised interest rates to try and stem the speculation. The move quickly led to a stock market crash and debt crisis, as borrowers failed to make payments on many debts that were backed by speculative assets. Finally, the issues manifested themselves in a banking crisis that led to consolidation and several government bailouts. After the initial economic shock, Japan's economy was sent into its now infamous lost decade, where economic expansion halted for more than 10 years. The country experienced low growth and deflation during this time, while its stock markets hovered near record lows and its property market never fully returned to its pre-boom levels. Economist Paul Krugman blames the lost decade on consumers and companies that saved too much and caused the economy to slow. Other economists blame the country's aging population demographic or its monetary policy — or both — for the decline. In particular, the slow response of the Bank of Japan (BOJ) to intervene in the marketplace may have exacerbated the problem. The reality is that many of these factors may have contributed to the lost decade. Following the crisis, many Japanese citizens responded by saving more and spending less, which had a negative impact on aggregate demand. This contributed to deflationary pressures that encouraged consumers to further hoard money, which resulted in a deflationary spiral. Many economists and financial experts have compared Japan's lost decade to the U.S. situation after the 2008 banking crisis. In both cases, speculation fueled real estate and stock market bubbles that eventually crashed and led to government bailouts. Both economies also responded by promising to increase fiscal spending to combat deflation. Their period between 2000 and 2009 in the U.S. has also been called a lost decade on occasion since two deep recessions at the beginning and end of the period resulted in a net-zero gain for many households. Steep declines in real estate values and the stock market resulted in significant losses, including the S&P 500's worst ever 10-year performance with a -9.1% total return. Despite the similarities, there are also some important differences between the two situations. Japan's aging population was a major contributor to its woes, while the U.S. maintains relatively positive demographics with plenty of young workers entering the workforce. The U.S. Federal Reserve has also been much quicker to act than the Bank of Japan. Japan's lost decade has provided many valuable economic lessons. Some economists argue against any interventions on the part of central banks, contending that they inevitably lead to moral hazard and longer-term problems. But others argue that interventions should take the market by surprise in terms of timing and scope. Act quickly to stem the crisis. The Bank of Japan's reluctance to act quickly caused a crisis of confidence among investors and may have exacerbated its problems. Spending isn't the answer. Japan's attempts to spend on public works projects wasn't particularly successful in helping it recover more quickly from its economic woes. Counteract demographics. Japan's reluctance to substantially raise its retirement age or taxes only helped to further its demographic problems. Don't rack up debt. Japan's massive levels of debt were ultimately responsible for its crisis and the lost decade, and the BOJ was behind the curve in raising interest rates. Japan's lost decade was likely caused by rampant speculation during an economic boom that led to a debt crisis and long-term deflation after the bubble burst. The lost decade resembles the 2008 U.S. financial crisis in many ways, but some differences are important to consider. 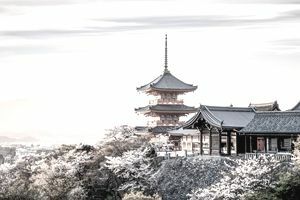 Many different lessons can be learned from Japan's lost decade, ranging from the underlying causes to potential solutions.